Having prepared myself for three days I decided that today was the day for the walk I’d been looking forward too all week, walking from Filey to Scarborough. In theory it’s a 8.5 mile walk but that excludes the walk from Primrose Valley to Filey centre and the walking around Scarborough. All told I walked 17.5 glorious miles. Long hard walks provide one of the few opportunities to be pain free, even the grumbles that are always with me fade away as the endorphins start flowing and as I’m fairly fit when the pain floats away it makes me feel so strong I want to keep going all day long. I’m still listening to Robin Hobb’s ‘Fools Errand which like all good books just keeps getting better as I get drawn into the story, which is very apt as much of the story concerns characters being drawn too far into the lives of the animals they bond with. The crowning achievement of this series of books is the relationship between Fitz and his wolf Night Eyes and this books really develops that as Fitz has to confront the prospect of Night Eyes’ death. The wolf’s perspective on death and how he explains the impact on him of Fitz’s human perspective is superb. moving and one of the best lessons for us humans to remember that I’ve ever read. I continue to be in awe of Robins writing which will be of no surprise to anyone. As I mentioned yesterday Debbie and I did the reverse of today’s walk last year and I remembered much of it. When we did the walk though we diverted a little off the Cleveland Way and this time I stuck to it most of the way (part of it was closed). The walking was much better than it was in the summer though, give me cool and misty rather than hot and sticky every day. Even the bit of mud made for some fun scrambling around. 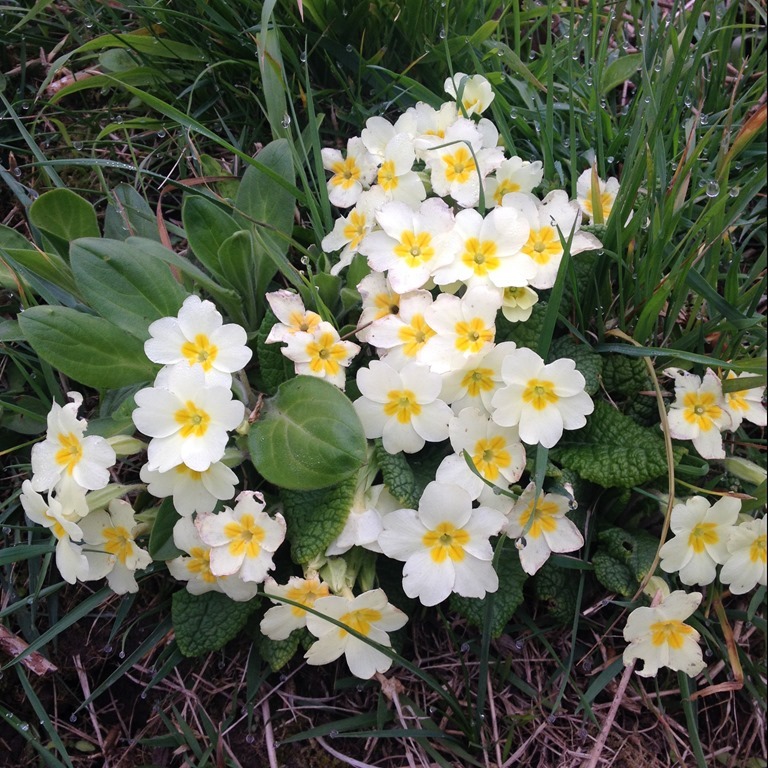 An unexpected treat was all of the Primroses, one of my favourite flowers. When I arrived in Scarborough I made straight for the cafe in the atrium of the shopping centre. I really like it there. It has loads of natural light, a great feeling of space, comfy chairs and a nice buzz and great Cheese Cake! I spent over an hour there reading up on the announcements flowing from Microsoft’s Build conference and catching up on email before walking around to North Bay and then up the cliff and back into the centre. I caught the bus back to Filey but made a bad choice of route, being taken on a less than magical mystery tour of all the local villages. It must have been three times the distance of the direct route, I will be more careful next time and catch the Filey, Bridlington bus. I was dropped at Filey Tesco and walked back through the village and back along the beach. I cooked some Lamb while baking bread for me and Steph to feast on while we watch a move tonight. Tomorrow we have a lot of driving to do as we are popping down to see my Mum. Tomorrow will probably be the last time she gets to see Stephie for well over a year and it’s Mum’s birthday next week as well. 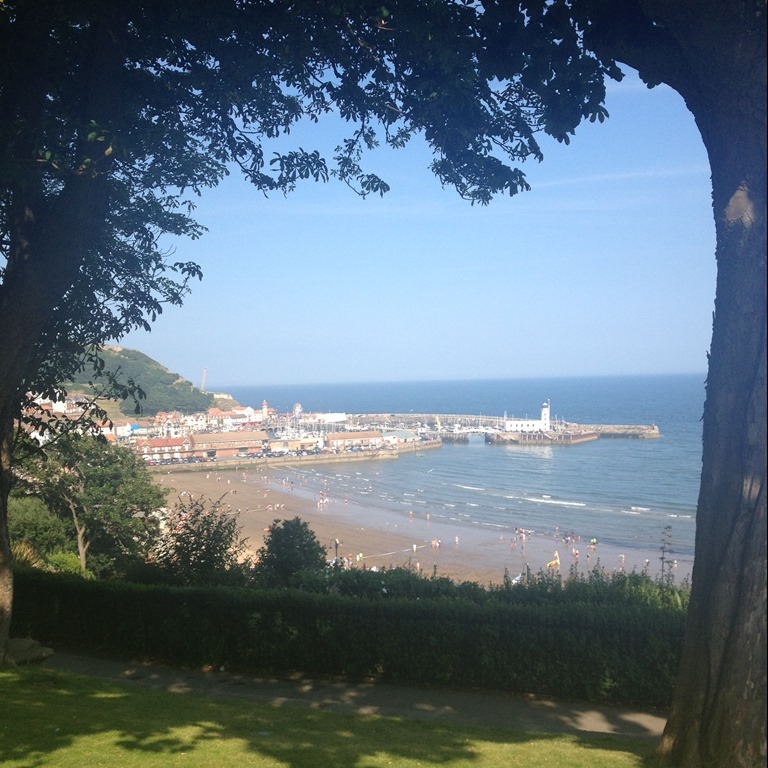 The picture is of my favourite picnic spot in Scarborough from last summer. I ate a huge salad there today looking forward to bringing Debbie back here in June.